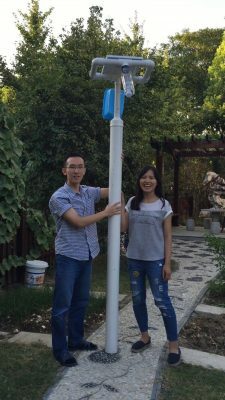 Caifang Du and her team set out to build street lights in a village where they are badly needed. This year, they made plenty of progress, having learned how to build the lights and trained volunteers to help throughout the process. Caifang and her team went to Amsterdam to learn how to build day lights but, in the process, they discovered the difficulty of setting up the organization as high school students. In order to conduct the project successfully, they needed proper training from other experienced organizations. So, they set off to Malaysia for a week of training. There, they learned how to build streetlights and source materials. Throughout the sourcing and testing processes, everything went quite smoothly and the team were very pleased to have successfully created their own version of streetlights. By the end of the month, they taught 15 volunteers how to build street lights and created a video for training purposes. While the team has not yet fully completed their project, they are pleased to have made such great progress over the summer. 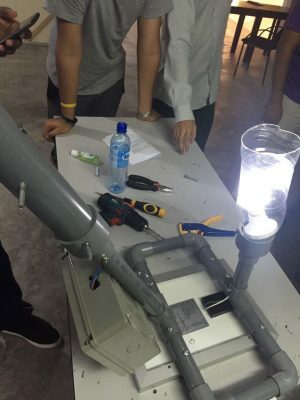 They have created their own technology, and are now fully equipped with the knowledge necessary to be professional street light technicians. By the end of the month, they taught 15 volunteers how to build street lights and created a video for training purposes. While the team has not yet fully completed their project, they are pleased to have made such great progress over the summer. They have created their own technology, and are fully equipped with the knowledge necessary to be professional street light technicians. Next summer, they will have everything ready to complete their project and build streetlights in locations where they are needed most: volunteers, materials and location. They are proud of their achievements so far, as they did not give up in the face of many obstacles, discouragement from some global chapters, age discrimination and the overall complexity of building streetlights. “We proved to them with our perseverance and scientific knowledge that we are capable of making it happen. We are finally an independent organization now, without a need to ask other chapters for help with technical issues”.